A new method that allows the observation of a metal surface during hydrogen penetration has been developed by the researchers at MIT. This new imaging platform has the potential to address some interesting questions about hydrogen transport and trapping in materials, and potentially about the role of crystallography and microstructural constituents on the embrittlement process. 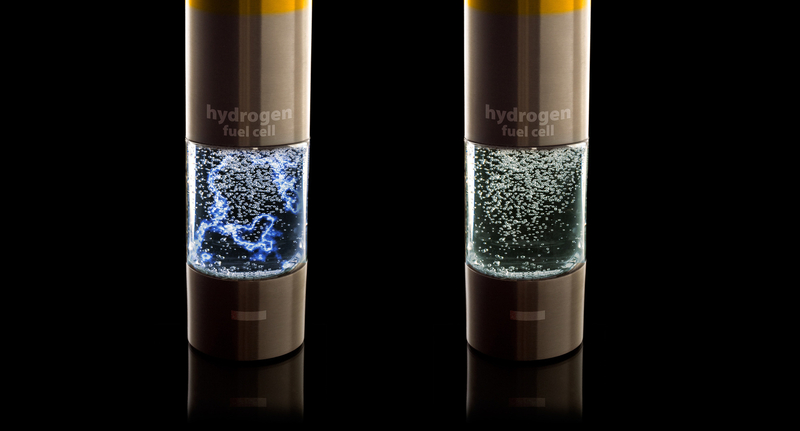 Hydrogen fuel is considered a potentially major tool for limiting global climate change because it is a high-energy fuel that could eventually be used in cars and planes. However, expensive and heavy high-pressure tanks are needed to contain it. Storing the fuel in the crystal lattice of the metal itself could be cheaper, lighter, and safer - but first, the process of how hydrogen enters and leaves the metal must be better understood. 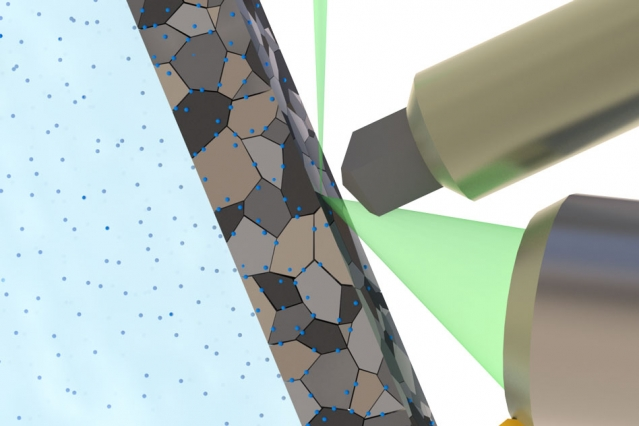 The new way of observing the embrittlement process as it happens may help to reveal how the embrittlement gets triggered, and it may suggest ways of slowing the process, or of avoiding it by designing alloys that are less vulnerable to embrittlement. This method may play an important role - in coordination with other techniques and simulation - to illuminate the hydrogen-defect interactions that lead to hydrogen embrittlement. With a more comprehensive understanding of the mechanisms of hydrogen embrittlement, materials and microstructures can be designed to improve their performance under extreme hydrogen environments. In their initial tests of three different metals - two different kinds of stainless steel and a titanium alloy - the researchers have already made some new findings. For example, they observed the formation and growth process of a nanoscale hydride phase in the most commonly used titanium alloy, at room temperature and in real time. This research could be a key technique to solve how hydrogen affects dislocation motion. 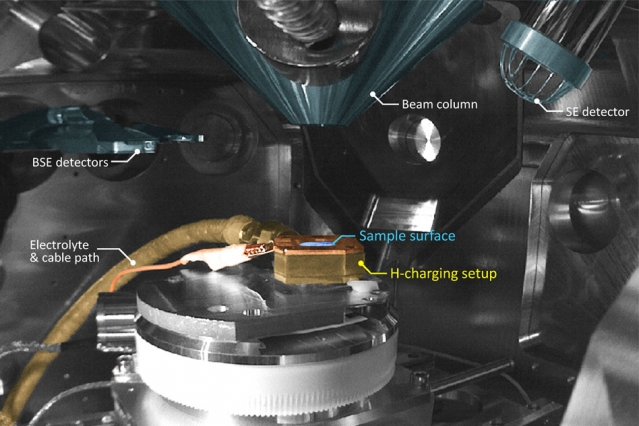 It is very challenging because an acid solution for hydrogen cathodic charging is circulating into an SEM chamber. It is one of the most dangerous measurements for the machine. If the circulation joints leak, a very expensive scanning electron microscope (SEM) would be broken due to the acid solution. Very careful design and a very high-skill setup are necessary for making this measurement equipment. Contact person: Prof. C. Cem Tasan.